Big where you need it, not where you don’t. You don’t need a sledgehammer to hang a picture, and that same philosophy applies to ATVs. 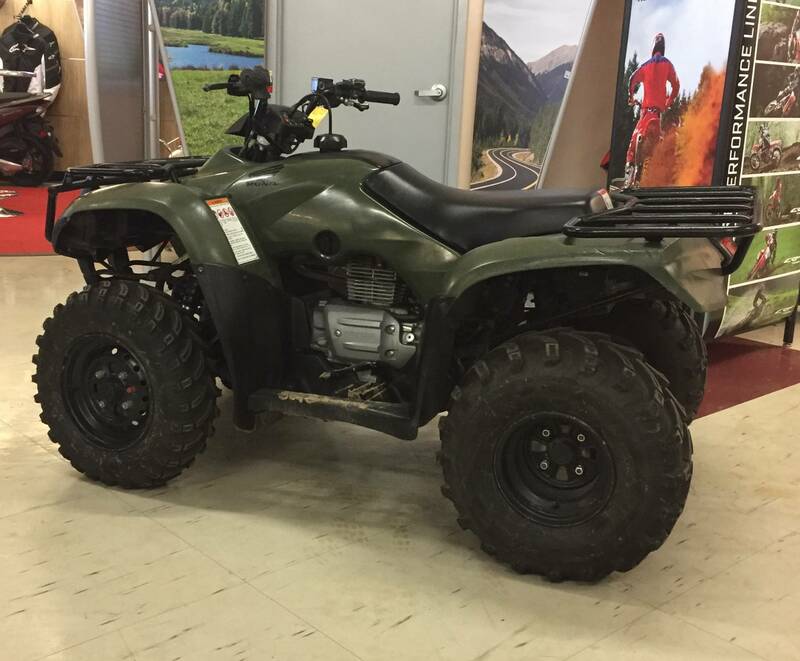 So we built the Recon®, a powerful ATV with a smaller footprint. Equipped with a 250 cc-class engine, this 2WD workhorse delivers seamless, reliable power right when you need it. Its compact size helps you tackle those tighter trails some larger ATVs may struggle with. So if you’re looking for a hard-working, hard-playing ATV with a smaller stature, look no further than the Recon. Recommended for riders 16 years of age and older. Honda recommends that all ATV riders take a training course and read their owner’s manual thoroughly. LED taillight and brakelight for durable, long-lasting lighting. Compact and lighter-weight, the Recon's semi-dry sump and overhead valve designs create an engine that's not only shorter from top to bottom, but one that enhances handling by lowering the center of gravity while increasing ground clearance as well. Both the Recon and Recon ES have uniquely designed floorboards, which allow the rider's feet to grip the footrests while keeping away mud and debris.